Music is one thing that most people can’t live without, with millions around the world listening to their favorite tracks on the daily commute for example, or if they’re just chilling out at home. It has been increasingly inter-twined into near enough everything that we do, from listening to popular tracks whilst shopping at Marc Jacobs or in the office; to enjoying your favorite game at mobile casino, mFortune or waiting to speak to someone on the phone. With the growth of mobile smartphones, it is only natural that they have become arguably the main source for us all when it comes to music. In fact, Mobile phones being able to play music has been a godsend over the last decade or so, with many useful apps now on the market, which has been music to the ears of many. Let’s look at some of the most useful apps out there for music lovers right now. 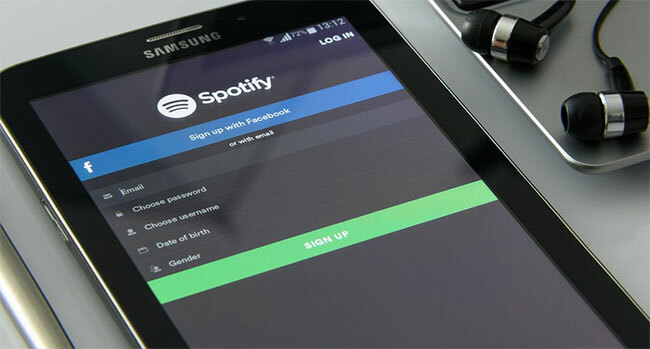 Spotify is one of the original music streaming platforms and by far and away the most popular. It possesses an extensive music library which is unrivaled in its field, with its ready-made playlists also being extremely popular with users. It’s a great app for music lovers who know what they’re wanting to listen to, or for people who are looking to discover something new from the music world. You’ll never miss a new track with Spotify either, which is a big plus. It doesn’t matter how good your music knowledge is, you’ll always come across a track that you may have forgotten the name of, or you might hear some new music and want to find out more, well this is where the Shazam app comes into play. Shazam basically works like a musical search engine, listening to the audio you play, and then informing you of the name of the track, the artist and more. You can even go on to buy the track if you so wish, meaning it’s a must have app for both iOS and Android users. Google Play Music has vastly improved over the last few years and is now a staple app of any music lover’s device. It’s a superb all in one app as people can stream music, while also being able to purchase music too. Google have also deployed intuitive learning algorithms too, which attempt to provide the user with music, playlists and radio stations which are likely to suit them the most. No matter what you’re doing, you’ll always find music for the situation on Google Play Music. SoundCloud is a streaming platform with a difference as it allows creators to upload their own tracks and mixes. So, not only are you able to hear the music you expect to hear, you’ll also have access to millions of unheard of tracks, remixes and mixes from up-and-coming artists. If you love listening to music from talented artists, DJs and producers who are looking to break into the mainstream, this is the app for you. Now, there are apps to listen to music, buy music and discover music but what about an app to make music? FL Studio, formerly known as FruityLoops, is the mobile version of one of the most comprehensive music making programmes around. Users can build music tracks from scratch, using a variety of instruments and effects and then go on to upload their music to services such as Soundcloud and Dropbox. It’s ideal for music producers or just for those of us who enjoy making music.